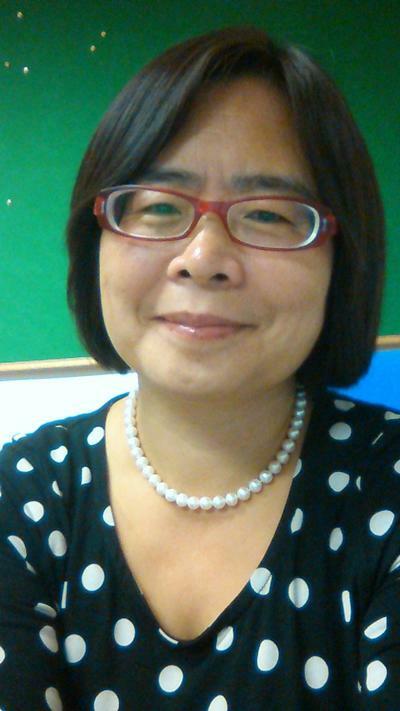 Dr Guiqing Lily Yao is Associate Professor in Health Economics & Head of Health Economics Analyses Team (HEAT) within Medicine at the University of Southampton. Lily is an Associate Professor of Health Economics and Head of the Health Economic Analyses Team (HEAT), in the Academic Unit of Primary Care and Population Sciences, University of Southampton. She is also the Southampton Lead for Health Economics for the National Institute for Health Research (NIHR), Research Design Service (RDS), South Central. Lily has a rich experience of economic evaluations and decisional analytic models, particularly related to health technology assessment and economic evaluation, alongside large clinical trials. She has successfully led on economic components of several large scale studies including studies funded by the NIHR as well as those commissioned by NICE (National Institute of Clinical Excellence). Her current research interests have covered economic evaluations of service delivery and using routine data to inform decision making. Lily joined the University of Southampton in March 2013. In this time she has set up a new research team – the Health Economics Analyses Team (HEAT) team, which provides health economics support within the Medical School, and also across the campus. Lily is the health economics module lead for the Masters degree in Public Health and also the newly funded Masters degree in Genomics, at the University of Southampton. Lily obtained her first degree in mathematics, at Sun Yat-sen University, China, her Master’s Degree in economics of public policy at Hull University, and her PhD in health economics at the University of Birmingham. She also completed a one year visiting scholarship in agricultural economics at the University of Manchester. She has been awarded several scholarships in the past including the highly prestigious Sino-British Friendship Scholarship Scheme. Lily’s research interests are in economic evaluation alongside large clinical trials and decisional analytic modelling. Her current interests are in using routine data to investigate epidemiological costs in chronic disease. Lily is interested in taking on new PhD students in the area of economic evaluation, particularly on methodological aspects. 1. Antibiotics for lower Respiratory Tract Infection in Children presenting in Primary Care (ARTIC PC). Funded by NIHR HTA. Principle investigator: Prof. Paul Little. Lily is co-applicant and leads health economics of the study. Expecting to Start from April 2015 for 5 years. 2. Creating Learning Environments for Compassionate Care (CLECC): a feasibility study. Funded by HS&DR. Principle investigator: Dr Jackie Bridges, Faculty of Health Sciences. Lily co-applicant and leads on health economics. Starting from 1 Dec 2014 for two years. 3. Feasibility study for a randomised controlled trial of patient reported outcome measures (PROMs) in the assessment and follow-up monitoring of patients with depression in primary care. NIHR Research for Patient Benefit (RfPB). Principle investigator: Prof Tony Kendrick, University of Southampton. Lily Co-applicant. Starting from 1 Sep 2014 for 2 years. 4. PROACTIVE, prostate cancer. Principle investigator: Prof George Lewith. Lily co-applicant. Funded by NIHR School of Primary Care Research. Expecting to start at 01/04/2015 for 18 months. 5. Randomised Controlled Trial to Assess the Clinical and Cost-Effectiveness of Physiotherapy and Occupational Therapy in Parkinson's Disease (PD REHAB). Principle investigator: Prof Carl Clarke. Lily Yao led and supervised a Research Fellow on the Health Economic section. The project is funded by NIHR HTA. Duration Jan 2009 – 2013. Completed and report submitted to HTA. 6. Randomised Study of Autoinflation in 4-11 Years Old School Children with Otitis Media with Effusion (OME) In Primary Care :AIRS; Principle investigator: Dr Ian Williams. Lily leads the health economics components. Funded by HTA. Completed at 01/10/2014. Monograph in press and paper submitted to a Journal. 7. A Primary Care Trial of a Website Based Infection Control Intervention to Modify Influenza- like Illness and Respiratory Infection Transmission (PRIMIT). Principle investigator: Prof. Paul Little, Lily leads on health economics. Funded by NIHR program grant. Drawing to completion. Main paper accepted by Lancet. Lily working on health economics paper and expect to complete 28 March 2015. 8. Probiotics for Preventing Antibiotic Associated Diarrhoea Including Clostridium Difficult Infection. Led Professor Chakravarthi Rajkumar. Lily co-leads on health economics. Funded by DANONE. Drawing to completion draft report submitted. 9. Integrating Digital Interventions into Patient Self-Management Support (DIPSS). Principle investigator: Prof. Lucy Yardley. Lily co-led on health economics. Funded by NIHR program grant (PGfAR). Started from01/04/2013 to 01/05/2018. 10. The BREATHE study: Breathing Retraining for Asthma - Trial of Home Exercises: protocol summary of a randomised controlled trial. Principle investigator: Prof Mike Thomas. Lily co-leads on health economics. Funded by HTA from 01/03/2012 to 01/04/2016. 11. REM-HF: Remote Management of Heart Failure Using Implanted Devices and Formalised Follow-Up Procedures. Principle investigator: Prof. John Morgan. Lily co-lead on health economics. Funded by The British Heart Foundation & Medtronic from 01/04/2010 to 01/04/2016. 12. Comparison of Preschool Parenting Interventions - a multicentre randomised controlled trial comparing the efficacy of a specialist and a generic parenting programme for the treatment of preschool ADHD, Principle investigator: Prof. Sonuga-Barke E.J. Funded by NIHR program grant. Lily co-leads on health economics components. 13. The management of acute and recurrent infections (PRIME) including PIPS: steam, paracetamol and ibuprofen for acute respiratory infections; SNIFS: nasal irrigation and steam for recurrent sinusitis; TASTE: probiotics and xylitol for recurrent sore throat; 3C’s study (Cough Complication Cohort): a large prospective cohort similar to DESCARTE but for LRTI and Internet Dr trial (following the development referred to above). Principle investigator: Prof. Paul Little, Lily leads on health economic components of the program. Funded by NIHR Programme grant. 14. Positive Online Weight Reduction (POWeR) . Principle investigator: Prof. Paul Little, Lily leads on health economic components of the program. Funded by NIHR Programme grant. Duration: June 2010 – February 2013. Lily is the head of the Health Economics Analyses Team, the chief health economics adviser for the NIHR RDS South Central, and the health economics module lead for two key postgraduate degree programmes: the Masters in Public Health and the Masters in Genomics. She also teaches on the health economics modules for the Bachelor of Medicine (BM) degree programme. Sackley, C. M., Hoppitt, T., Shah, S., Padget, S., Meek, C., Calvert, M., ... Pall, H. (2012). What matters to patients and carers in the care and management of rare long-term neurological conditions? A study using the Delphi technique. Journal of the Institute of Ageing and Health (West Midlands), 18, 9-16. Miners, A. H., Yao, G., Raftery, J., & Taylor, R. S. (2007). Economic evaluations of calcineurin inhibitors in renal transplantation: a literature review. PharmacoEconomics, 25(11), 935-947. Yao, G., Albon, E., Adi, Y., Milford, D., Bayliss, S., Ready, A., ... Taylor, R. (2006). A systematic review and economic model of the clinical and cost-effectiveness of immunosuppressive therapy for renal transplantation in children. Health Technology Assessment, 10(49), 1-178. Zhang, Y., Yao, G., & He, J. (Eds.) (2014). Health Information Science: Third International Conference, HIS 2014, Shenzhen, China, April 22-23, 2014, Proceedings. (Lecture Notes in Computer Science: Applications, incl. Internet/Web, and HCI). Heidelberg, DE: Springer. Huang, G., Liu, X., Klawonn, F., & Yao, G. (Eds.) (2013). Health Information Science: Second International Conference, HIS 2013 London, UK, March 25-27, 2013. Proceedings. (Lecture Notes in Computer Science: Information Systems and Applications, incl. Internet/Web, and HCI; No. 7798). Heidelberg, DE: Springer. Kalita, N., Pickett, K., Lord, J., Frampton, G., Yao, G. L., & Picot, J. (2018). Daratumumab (with bortezomib and dexamethasone) for treating relapsed, refractory multiple myeloma. Southampton: NIHR Journals Library. Halligan, S., Dadswell, E., Wooldrage, K., Wardle, J., von Wagner, C., Lilford, R., ... Atkin, W. (Accepted/In press). Computed tomographic colonography versus colonoscopy or barium enema for diagnosis of colorectal cancer in older symptomatic patients: two multicentre randomised trials with economic evaluation (SIGGAR1). HTA. Zhu, S., Song, F., Lilford, R., Bayliss, S., Chilton, P., Cummins, C., ... Yao, G. L. (2012). Ambu aScope2 in unexpected difficult airways management. External Assessment Report. Birmingham, GB: NICE. Lily is the health economics module lead for two key postgraduate degree programmes: the Masters in Public Health and the Masters in Genomics. She also teaches on the health economics modules for the Bachelor of Medicine (BM) degree programme.